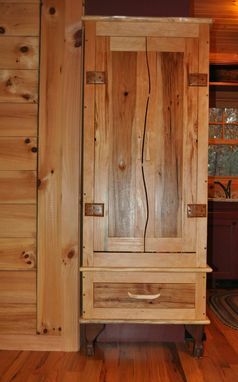 Custom made cabinet. Wood; Heart Pine, pecan, walnut. Front legs are hand carved out of Walnut. Great for extra storage in Kitchen, living room, dinning room. Dimensions: 72"T x 28" width x 10" deep.